Posted July 12, 2017 . Now that summer is here, there’s no better way to cool off than taking a dip in a local swimming hole or pool. Fortunately, Davie County and the surrounding communities have no shortage of fun, family-friendly places for splashing around. 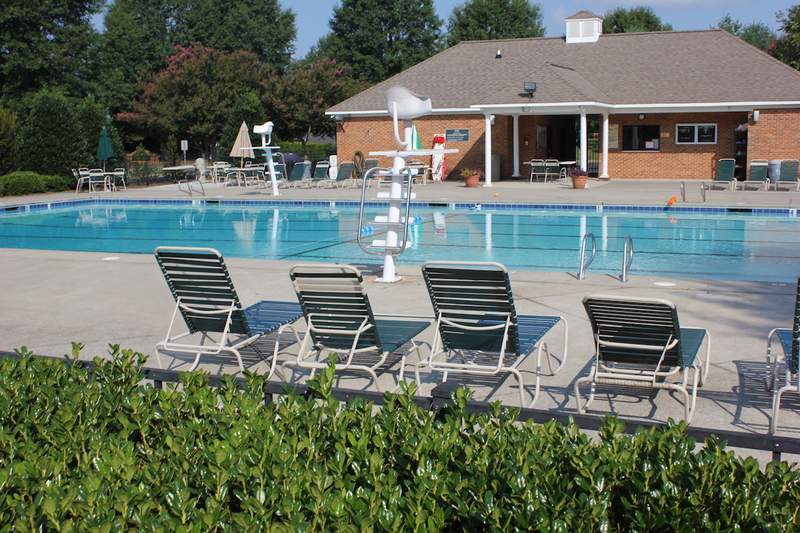 One of our favorites is just seconds from our office and just across the county line—The Tanglewood Park Aquatic Center. For a small fee, families can enjoy a spacious lap pool, a children’s pool, slides, diving boards, a lazy river, and other fun features. And of course, the rest of Tanglewood Park, including their walking trails, mountain biking trails, dog park, playground, and golf course, are great, too! At the other end of Davie County, you can enjoy The River Park at Cooleemee Falls. Known to locals as simply the Bull Hole, River Park was renovated a while back, and now features picnic tables and benches scattered along its wooded trails, as well as a large shelter available for rental for your large, family gatherings. River Park is perfect for fishing or just splashing around on the rocks or the natural, sandy beach. We love these parks, but we also know that many people prefer the convenience of having these amenities in their own backyard—or at least within walking distance or a short bike ride! Fortunately, Davie County and our surrounding area is home to a number of residential communities that feature community pools and playgrounds. We regularly help clients buy and sell homes in Bermuda Run, Oak Valley, Kinderton Village, the Hamptons in Clemmons, Milling Way in Mocksville, and a number of others. Waterfront living is also popular in Davie County, with more options that many people realize. In addition to riverfront property along the South Yadkin, a number of local communities have beautiful watershed lakes and ponds, including Lake Louise and Whip-O-Will in Mocksville. We love helping clients buy and build homes with great waterfront views. This summer, let us help you find your next swimming hole—whether it’s a home with a private pool in the backyard, an active community with lots of recreational options, or a beautiful waterfront lot to build your dream home. There are so many options, and we know just where to look! Give Hillsdale Real Estate Group a call at 336-998-1967 to get started—we’re all in for you!